Our trip down the Limestone Coast, which refers to the most easterly section of South Australia’s coastline, began in quite rainy and overcast weather. We crossed the Murray River at Wellington, by ferry, as described in the previous post on the Fleureiu Peninsula (pics at bottom of that post). From Wellington, we took the coastal route down the Princes Hwy. We passed close by Lake Albert at the town of Meningie, a nice green town positioned right on the lake. Lake Albert and the nearby Alexandra Lake are huge, and in sunny weather conditions I suspect the lake and the township of Meningie would be really beautiful. However, it all looked rather grey in the rain…. It didn’t get much better. The coastline most of the way down to Kingston SE, was grey, boring uninteresting scrub, oh and smelly. Yes, in places it absolutely stunk, thanks to rotting seaweed lining the shore. If I’m not giving a very nice impression of that drive, would it help if I added that it was pouring rain, my throat and sinuses were aching, and my head throbbing? It certainly wasn’t the most enjoyable section of road of the holiday for me…..
We stopped for the night at Kingston SE, at a free campground right near the foreshore. Another town that is keen to have people come and stay in the area! Kingston looked OK coming in, and nice the next day (Fri) – there was blue sky, and my aches and pains had subsided a bit (Thurs turned out to be the worst day)! 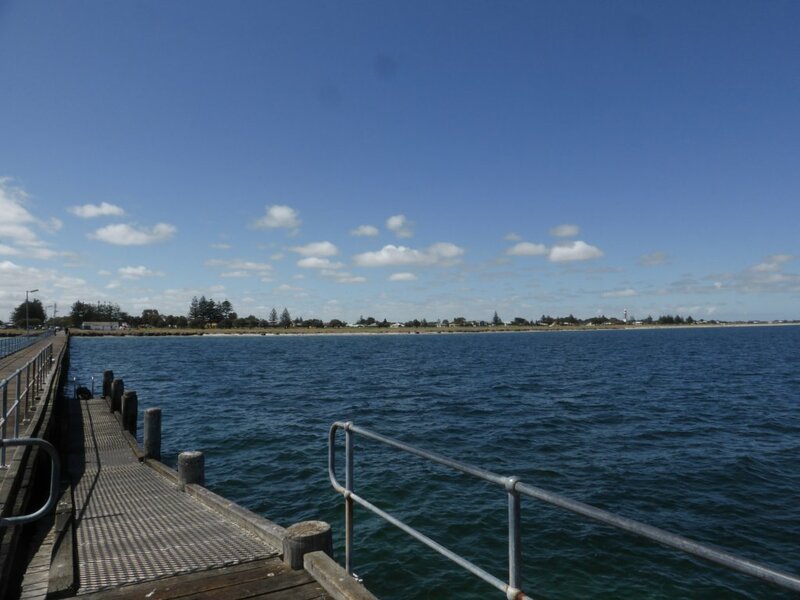 Here are some views from the Jetty, and there are beaches just further south with no seaweed! 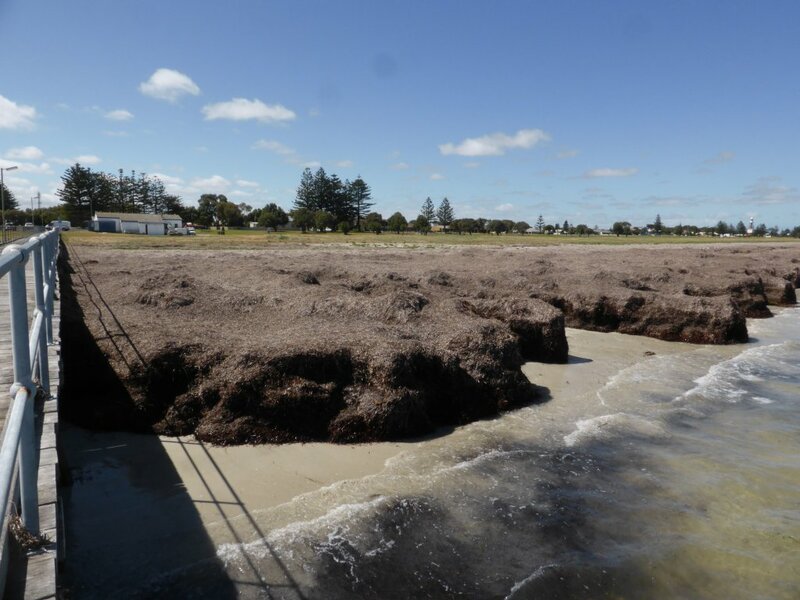 I guess the ‘seaweed coastline’ doesn’t sound as attractive? Wouldn’t be fair either, as there are nice sandy beaches just a little further south! 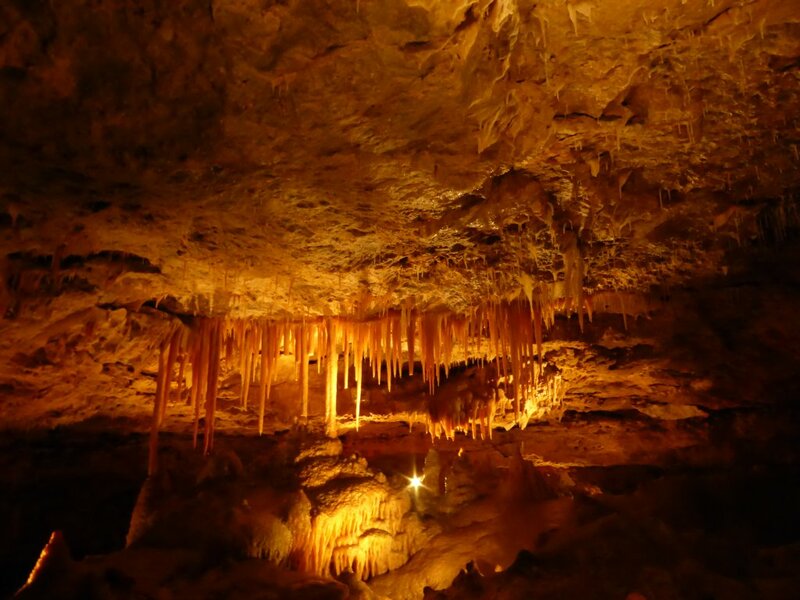 Naracoorte was our next destination, to see the World Heritage listed limestone caves just south of the town. We headed inland to get there, through the nice green countryside. The cave tours aren’t real cheap, but we ended doing a tour of the Wet Cave (self guided), and the Wonambi Fossil Centre display, that arvo. 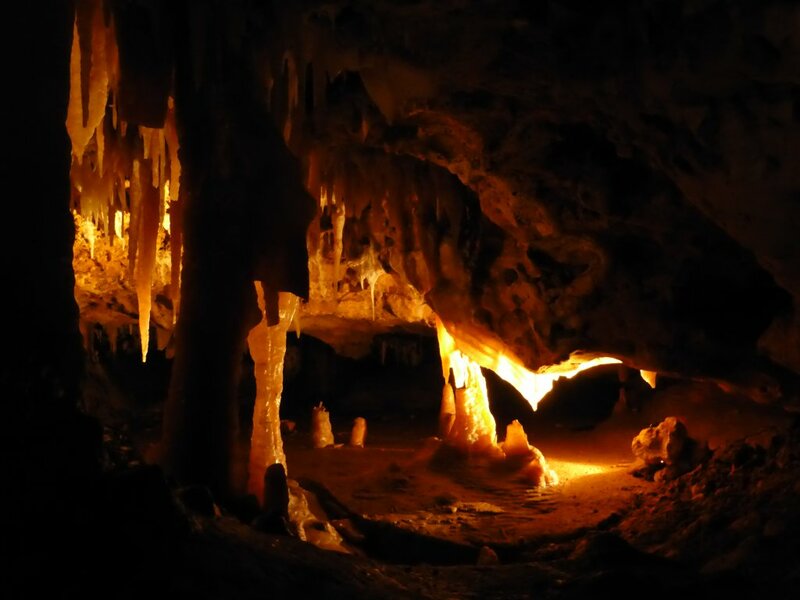 For Saturday morning we booked into the Victoria Fossil Cave tour (I think this must have been my main birthday present! ), spending the night at the campground there at the NP. The Victoria Fossil Cave tour was taken by an older guy who did a real good job. 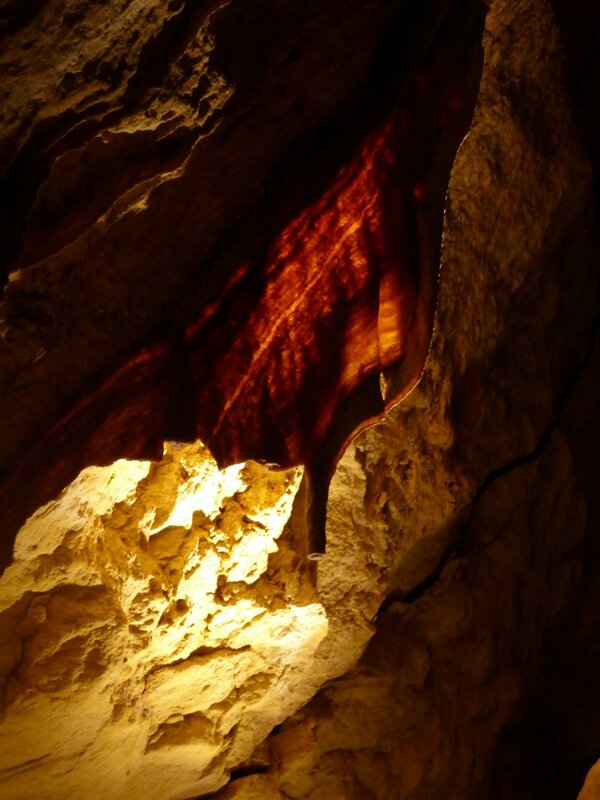 It is a huge cave – there are kilometres of it, but visitors only get to see a small portion. 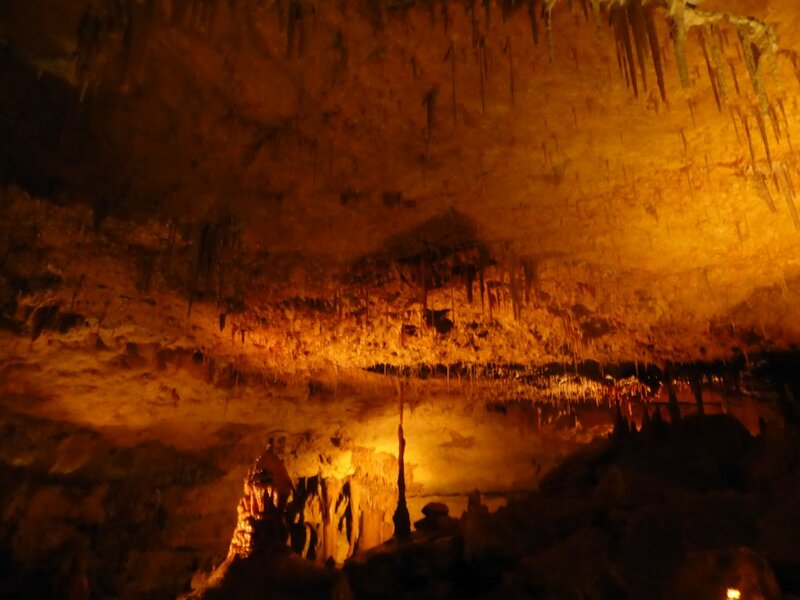 In this cave tour you get to see some nice/interesting limestone cave features – such as crystal stalactites and stalacmites, crystal slabs, crystal curtains (also called shawls, or bacon!). These are similar features to what we saw over at Yanchep NP, just north of Perth. a nice slice of bacon! Can see why they call it that! 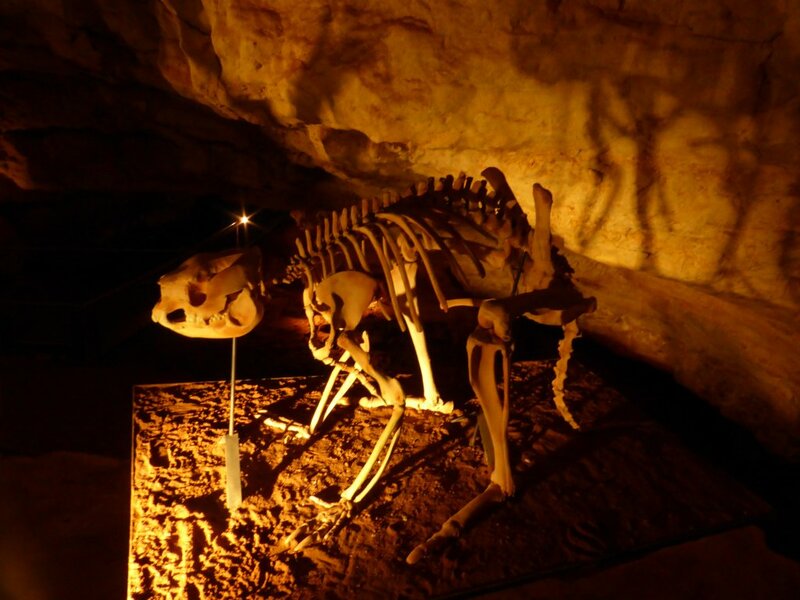 However, the main focus of the tour is not on these, but on the findings within the cave – it was relatively recently found to contain large numbers of bones in good condition from the Australian megafauna period. 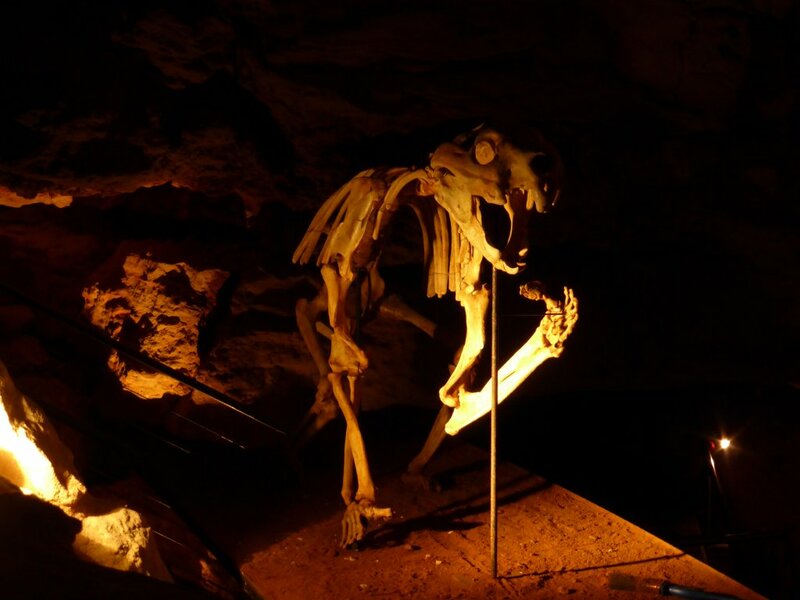 So these caves are a treasure trove of bones and the like, from current animals to those existing 500,000 years ago! 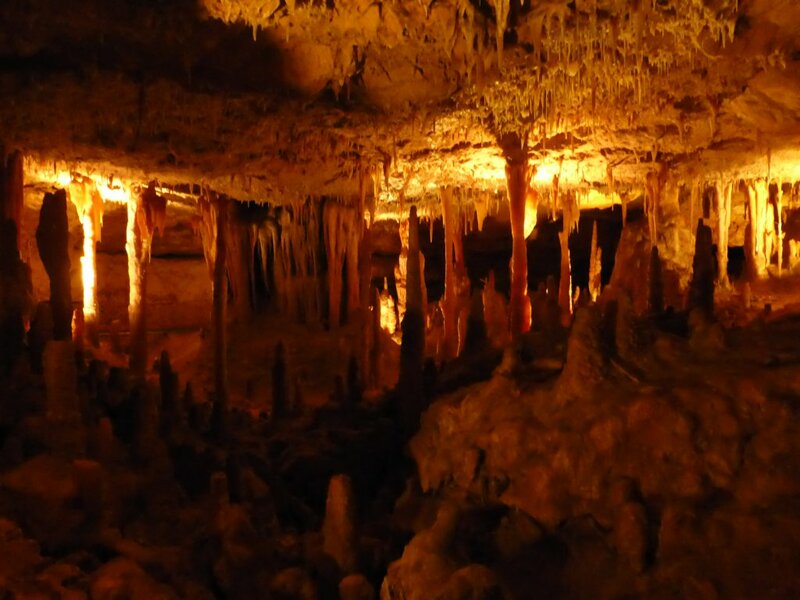 Because this area of caves was lifted by geological action a long time ago, it is well above the water table meaning the bones are better preserved than in caves from many other areas (less rot). Seeing and hearing about Australian megafauna was interesting, as we hear a lot about Dinosaurs and dinosaur fossils (which are even older again), but very little about the large range of now extinct animals from this more recent period. So we learnt about some of these animals, and how they got in the cave, and how they analyse and date them, and work out what they were like and what they ate, etc etc. 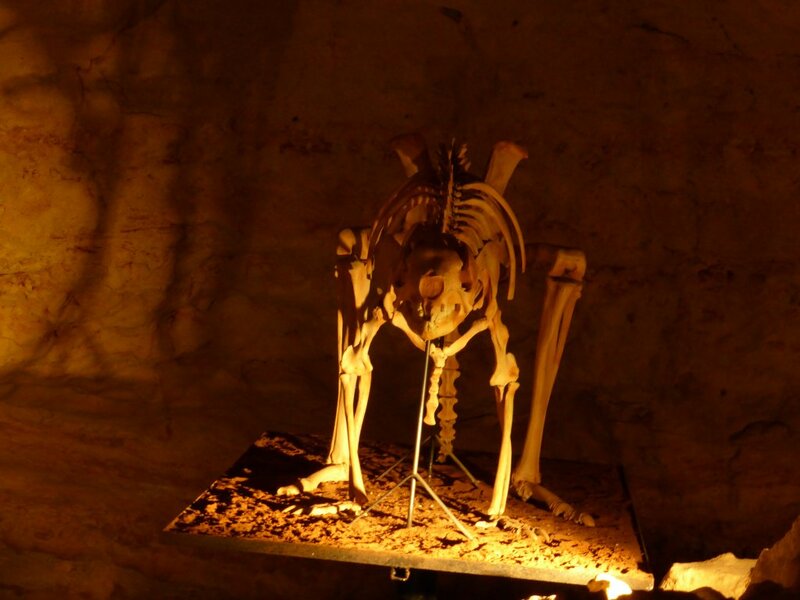 Skeleton of a ‘Stanley’ (you don’t want to try and read his proper name) – Kangaroo like body, Koala like head, tree leaf eating megafauna. skeleton of an extinct meat eater. Stanley may have been his main dinner…. 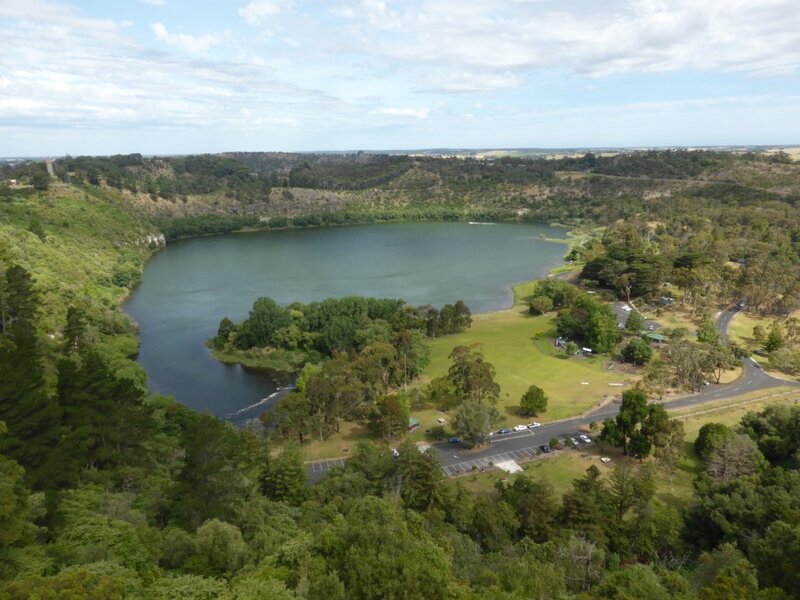 The main tourist features at Mt Gambier is the Blue Lake, and the surrounding lakes/craters. There is something that enters the water of this lake every year in November, that gives it its deep blue colour (it gradually changes back to grey)! 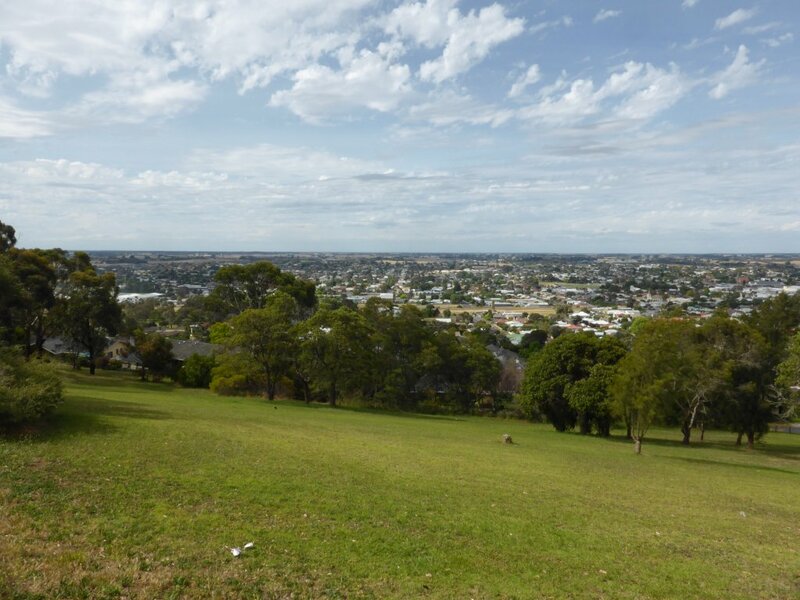 As you can see from pics of the surrounding area taken from the lookouts, Mt Gambier is also a lovely green town. 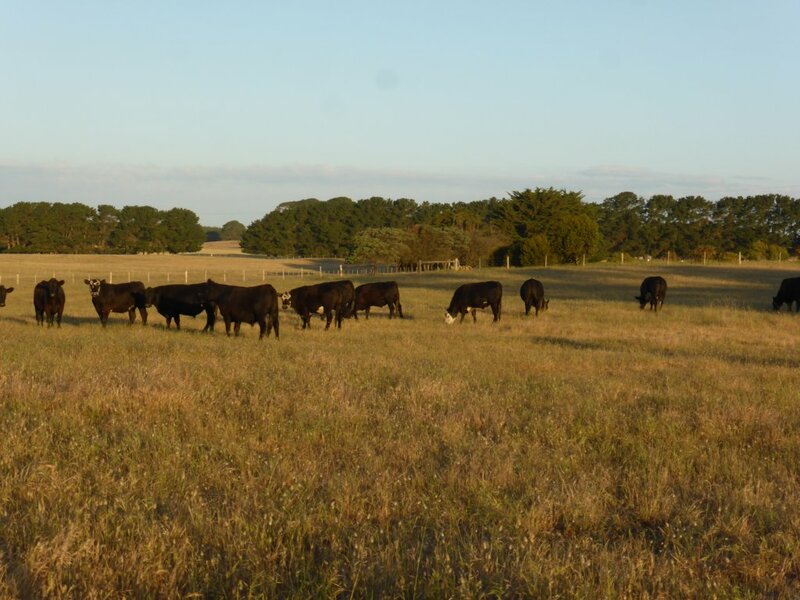 We pulled up for the night on the shoulder of a quiet dirt road a little out of Mt Gambier, just a few k’s from the Victorian border. Ended up right in front of a paddock of some great quality heifers and young bulls. A farmer came out just on dark to check we were alright, and offered for us to stay in his driveway. Very nice of him, but we were settled and the boys in bed, so much easier to stay as we were. So the Limestone Coast of SA was a real mixture for me. Some great places, and some not so great times; not that I should blame the area for rain and sickness! 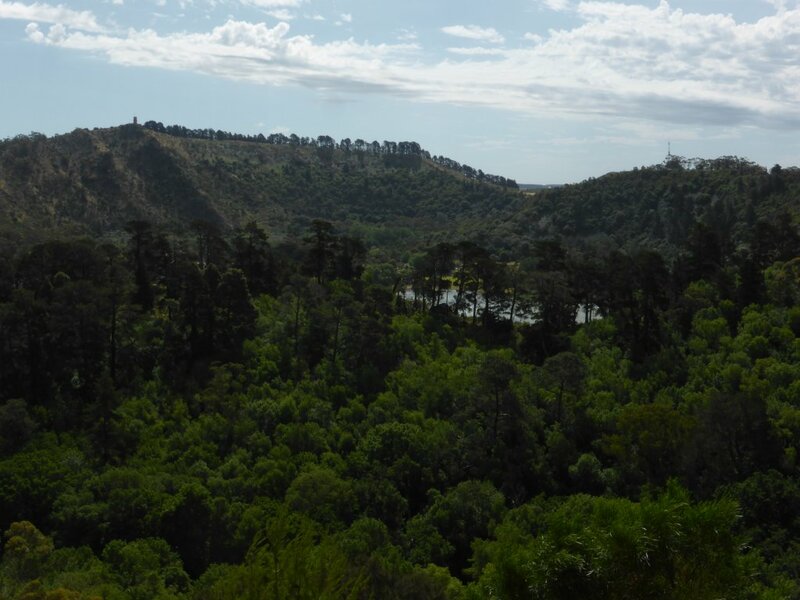 Fortunately those negatives were in the first half of the Limestone Coast, so we left the state of South Australia on Sunday (23/11/2014) on good terms – having really enjoyed its beauty. That blue lake looks amazing, do you know what goes into it, natural or man-made to make it go so blue? Hi Jen, it is natural apparently. When the temp warms up the pH increases which results in calcite precipitating out of the water, taking organic matter with it. That effectively ‘cleans’ the lake making it look blue. Organic material tends to scatter light in the yellow-brown spectrum (making the water look that colour). Sore throats at Perth, and now sick after Adelaide. I guess the big cities are the problem! Yeah, worked out some time ago that I’m allergic to cities!! 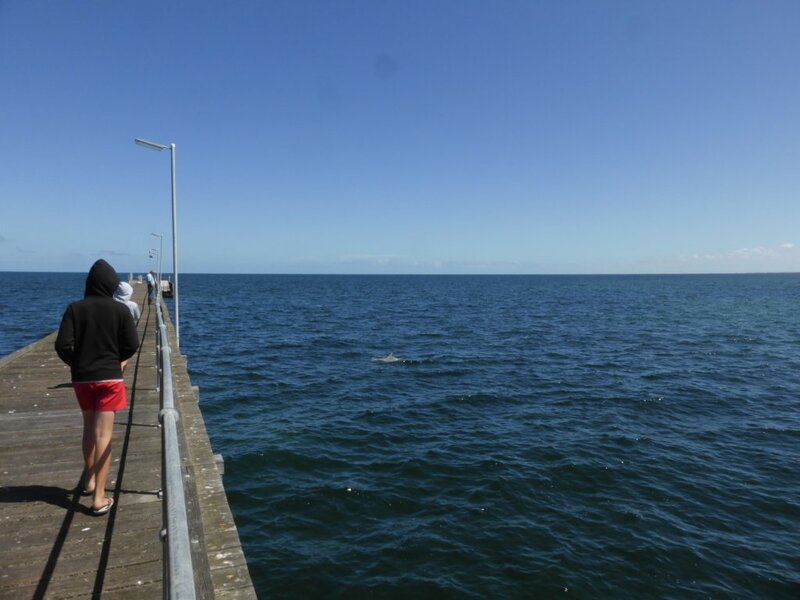 Btw, it was throwing up at Perth….